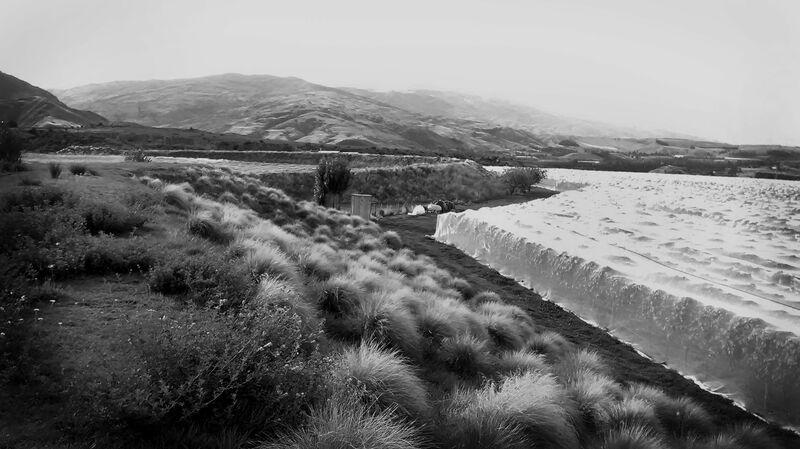 The location of Valli’s Bannockburn Vineyard is only 20km from Gibbston in the Cromwell basin but the difference in climate is responsible for creating markedly different wines. The Bannockburn wines reflect this warmer area by displaying darker fruits, by being denser, more powerful and with longevity based more on their tannin structure, as opposed to Gibbston wines which are based more on their acidity. The soils are also windblown loess over gravelly schist but with sandier, deeper topsoil, which allows for free draining. Climate, rather than soil, attributes to the main difference in the wines.